Most companies, when having just released a flagship device, then seem to rest on their laurels, advertising heavily before, hopefully, revealing strong sales reports. 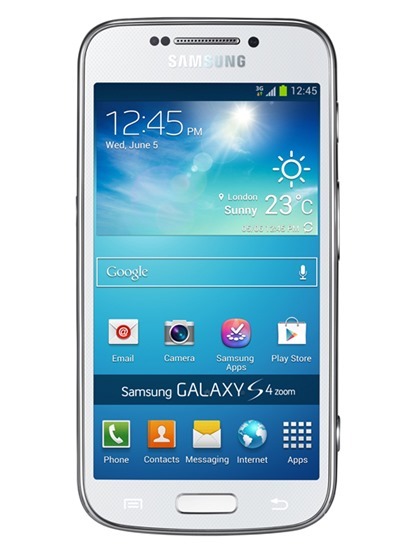 While Samsung has followed the usual script to a degree, the company is certainly not sitting around and basking in self-congratulation, rather busily announcing and releasing several spin-off devices from its immensely popular Galaxy S4. 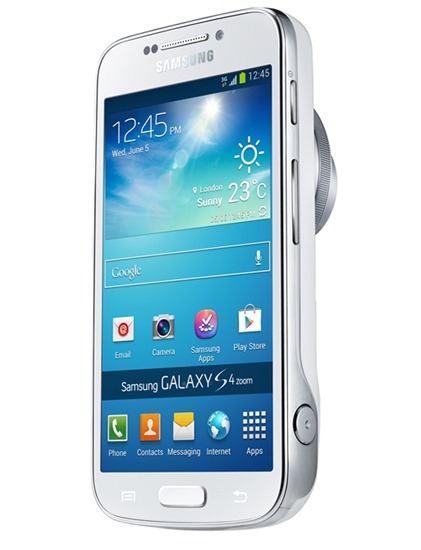 As well as the ruggedized Galaxy S4 Active and scaled-down Galaxy S4 mini, the South Korean consumer electronics giant has also been working on a model to suit the growing number of point-and-shot fanatics, and today, it has officially revealed the specs of the Galaxy S4 Zoom. 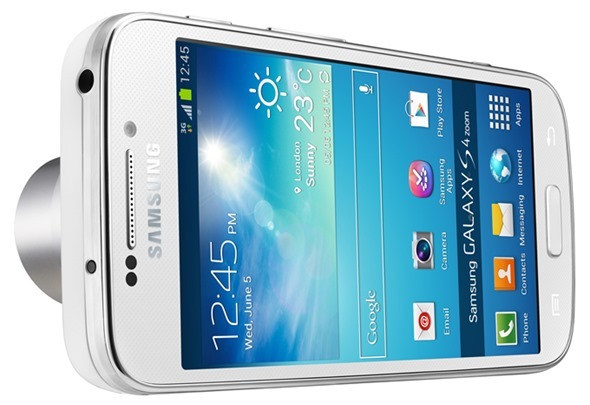 In terms of the device itself, it’s not really a patch on the real Galaxy S4. But its intention is not to boggle the mind with impressive processors and an unholy amount of RAM, the Galaxy S4 Zoom is all about helping you take good photos, and its 16-megapixel camera with 10x optical zoom certainly attests to that. Although cameras within smartphones have gotten progressively better over the past few years, few have dared to step out and bring anything like the standard of DSLR to our handhelds. Nokia has been perhaps the most forthright with the 808 PureView, and its Lumia range certainly dumps on the other flagship handsets. But this is the first attempt, outside of Finland, that a company has sought to revolutionize the way we view smartphone photography. With a 10x optical zoom lens and a 16-megapixel CMOS sensor, allied to Xenon flash for strong lighting, the Galaxy S4 Zoom is, on paper, a bit of a jump from what we’ve been treated to thus far. The device is pretty standard mid-to-high-end fare in terms of specs, with a 4.3-inch qHD (960×540) Super AMOLED display and 1.5GHz dual-core processor. It runs Android 4.2 Jelly Bean right out of the box and with support for LTE, it certainly has enough about it to support most smartphone users. 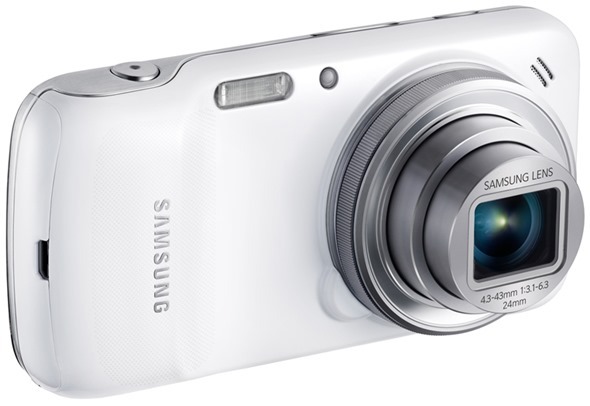 The Samsung Galaxy Camera released last year was somewhat indicative of how highly Samsung regards photo snapping, and with many users of the device feeling like it could have been a fully-fledged smartphone rather than just an Android-running camera, here we are with the Galaxy S4 Zoom. The soon-to-be-released smartphone isn’t quite the bulk of the Galaxy Camera, but it’s still rather heavy at 208g. Does the Galaxy S4 Zoom appeal to your inner photographer, or do you think a smartphone should, primarily, be a smartphone?